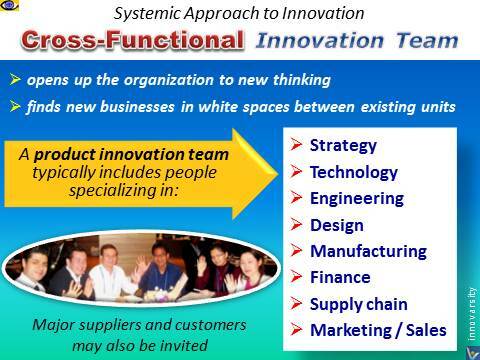 ❹ Don't establish cross-functional innovation teams. 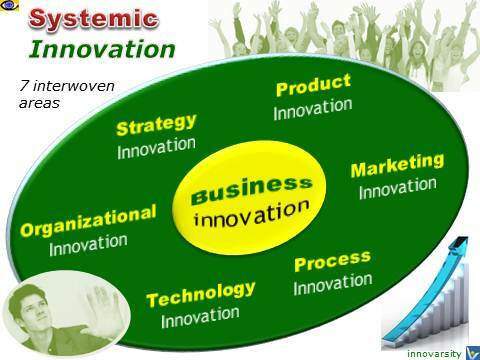 Innovation is a pervasively cross-functional process. When ideas meet and information comes together, you bring innovations to market → smarter and faster. Innovation, the source of → sustainable competitive advantage for most companies, depends upon the individual and collective expertise of employees. In the new era of systemic innovation, it is more important for an organization to be cross-functionally excellent than functionally excellent. In addition to formal planning at the business level, best-practice companies use crosscutting initiatives on major issues in order to challenge assumptions and open up the organization to new thinking. Firms which are successful in realizing the full returns from their technologies and innovations are able to match their technological developments with complementary expertise in other areas of their business, such as manufacturing, distribution, human resources, marketing, and customer relationships. To lead these expertise development efforts, cross-functional teams, either formal or informal, need to be formed. These → teams can also find new businesses in white spaces between existing business units. 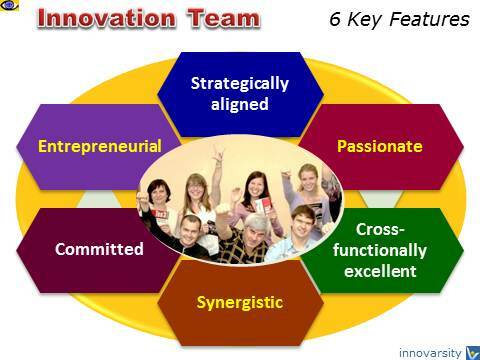 → Synergy is the energy or force created by the working together of various parts or processes. One advantage of cultural diversity is the potential for innovation arising from the presence of multiple perspectives. Yet, it is clear that not all multicultural teams/organizations are able to harness this benefit.